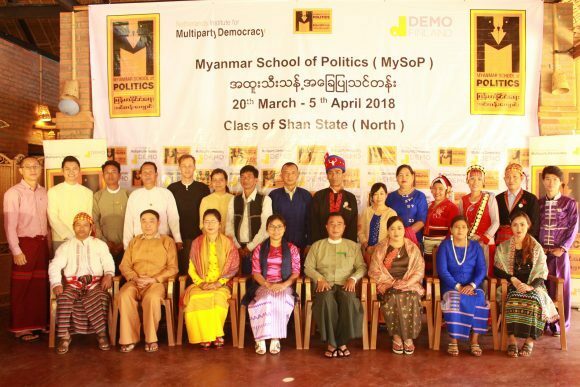 The 11th edition of the Myanmar School of Politics (MySoP) core course kicked off in Shan State (North) Myanmar on 20 March 2018. The Chair of Election Sub-Commission (Shan State, North) opened the 17 days of training with a speech noting his strong belief that MySoP will benefit not only political parties but also Shan State as a whole. With the existence of different ethnic groups and armed groups, along with diverse political parties within Shan State, the multiparty dialogue offered by MySoP would bring better cooperation for the development of Shan State in future, he added. 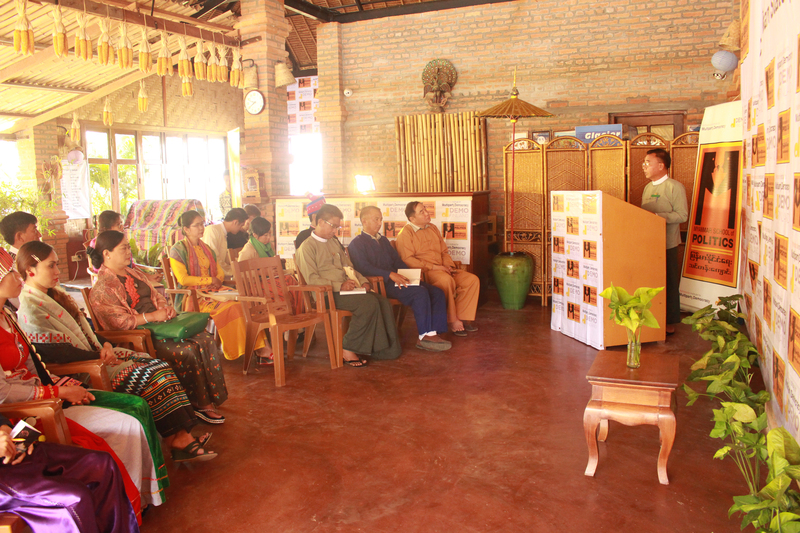 Held in the beautiful town of Hsipaw, located in the hills of Shan State, the course brings 15 state-level politicians (eight male, seven female) from nine political parties with the Election Sub-Commission to engage in dialogue and learn together in a neutral, respectful, multiparty setting. Together the participants will study political theory and practice their democratic skills. The course curriculum includes political ideologies, gender in politics, speech writing, campaigning, policymaking, dialogue, economic development and the peace process. The Myanmar School of Politics is a joint programme by NIMD and Demo Finland. The School focuses on strengthening the democratic role of politicians and political parties at the regional and state level, as well as enhancing the practice of multiparty dialogue.